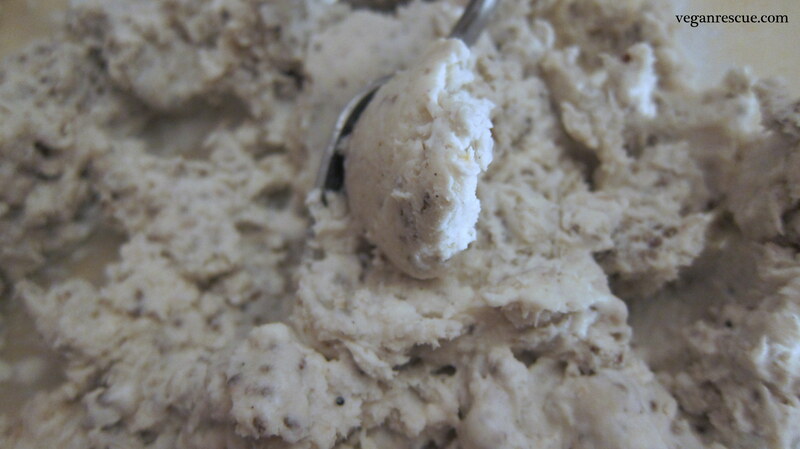 Coconut Chia Vanilla Bean accidental Ice cream! This is a quick in between post from my A to Z challenges this month. As I began to mention yesterday, I attempted to create coconut chia cream to add an additional layer to the parfait – thinking the chia seeds would aid in thickening the coconut milk. I’m guessing now that I didn’t use enough. So I abandoned that mission yesterday and only used the cashew/macadamia cream and created a simple coconut whipped cream instead. Yesterday, I refrigerated the cream mixture overnight, while that was chilling and setting, I also had the chia seed/coconut mixture being refrigerated also. The next morning I realized that it didn’t set, left it in the fridge and went off to work. Later that evening, I whisked the chia/coconut mixture and poured it into a large 9×13 glass dish and popped it in the freezer. This resulted in amazing ice cream. Enjoy! 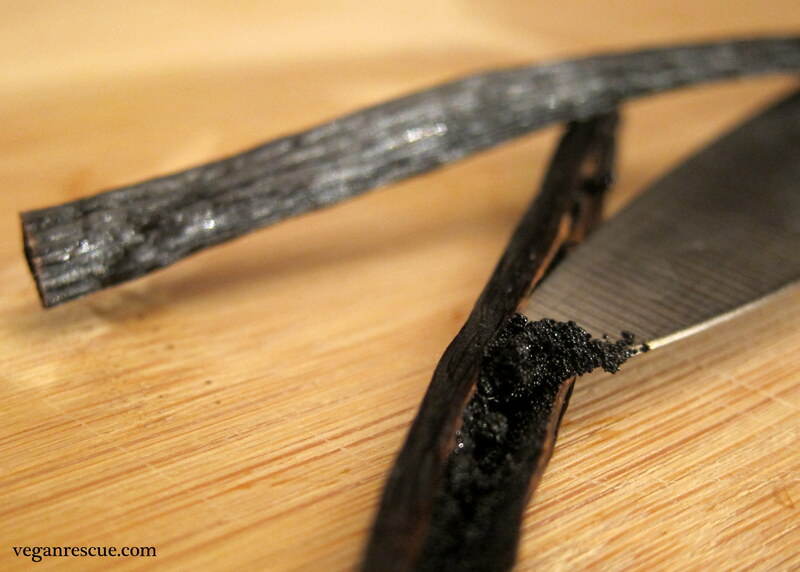 -Blend together Coconut milk, Vanilla bean and Agave. 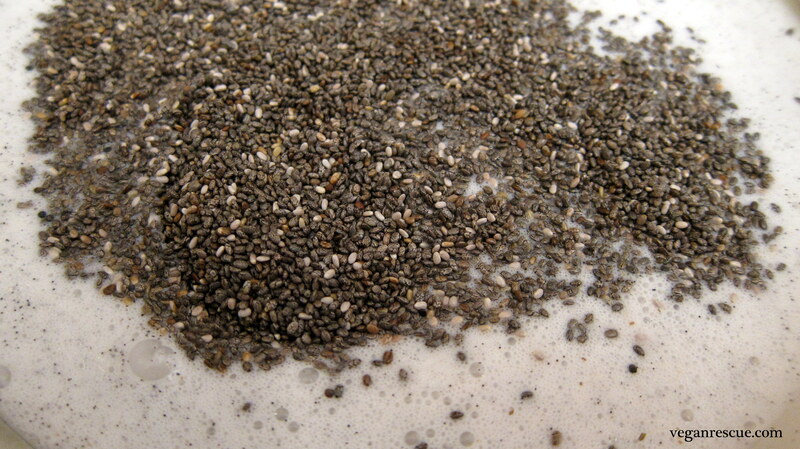 Remove from blender and pour into a glass bowl, stir in chia seeds. Cover and refrigerate, overnight – I’m sure a couple hours would probably be good too. -Stir again then pour into large glass dish I used 9×13. 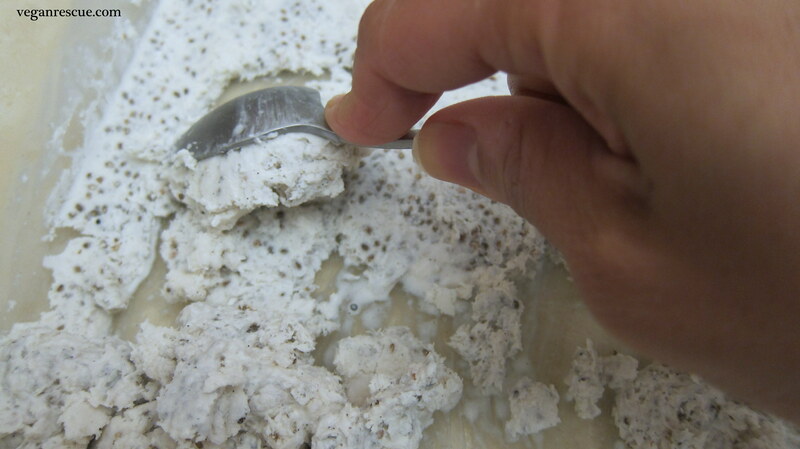 Place in freezer – after a couple hours I scraped with a spoon to scoop out ice cream, enjoy! -I saved the remaining in a airtight container.